Everyone in Second Life has a unique story. 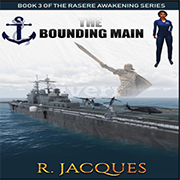 How they discovered the virtual world and what inspired them to do what they do various from person to person. Some may see Second Life as just another online game and to others it is much more than that. Trader1 Whiplash is a cancer survivor and an avatar whose name is familiar to many who are involved in Relay for Life in Second Life. He is also co owner of T1 Radio and a founding member of Relay Rockers. Together with his best friend Nuala Maracas, they have worked tirelessly in the Second Life community with T1 Radio and Relay for Life events. It is people like them that add humility, purpose and inspiration to this virtual world, but you don’t have to take SLE’s words for it. SLE: So tell us about the Relay Rockers. When and why were they founded? Who founded the team? Trader: In 2005 T1Radio was in its beginning stages having formed from Radio dAlliez. We were based at La Vie en Rose in Rue dAlliez. Alliez Mysterio came to Nuala and I and told us about a fundraiser being held to benefit the American Cancer Society. As a survivor I took an immediate interest and we agreed to fundraise at La Vie en Rose. Jade Lily, the founder of Relay in Second life heard of our efforts and came to us asking us to become official members of what was then called SL RFL, and the Relay Rockers were born. Nuala: The Relay Rockers welcomes participants who are willing to help out, take ownership of events and "Raise L$1,000,000 and come in last" . Of course the team has since 2007 raised far more than L$1m each year. While we have never kept records of our final totals, we have always been in the top 5 or 6 teams in total fundraising and have raised more than $10,000 US dollars each year since 2007. SLE: You’ve come a long way and should be very proud of your accomplishments in Second Life. What were some interesting and exciting things the team did this year? Trader: Our 2014 season started off with some very sad news, when we learned just before the holidays that we had lost our dear friend and co-founder Alliez Mysterio to breast cancer. The team agreed to dedicate our 2014 season to her memory and that galvanized us and helped make 2014, our 10th year on the track a record one. It became an absolutely amazing and surprising year for us. Our CRFB Top DJ Contest organizers made a concerted effort to go beyond the usual RFL circles and invited Junkyard Blues as a partner venue. We had competitors from other teams as well as dj's from outside relay. As a result the event brought in over three million lindens. We also went outside RFL for Bid Me Bald "Victim-teers" and with their supporters we raised well over L$ 1 million. All told the Rockers raised more than $21,000 US in 2014 and became only the 4th team to ever achieve Purple. Nuala: We also had an opportunity to dedicate a special sim, Relay d'Alliez to Alliez's memory and we made that available for all teams to use for events. We also used the sim for 2 major multi - team events organized by the Rockers, Relaystock and Rumble For Relay. Both events allowed many teams to take part in our signature fundraisers and brought the Relay community together in keeping with the One Team spirit. SLE: It is very hard to lose a friend or a loved one to cancer but by creating fundraisers in Alliez’s memory, it has kept her alive in spirit. It is a way to begin healing as well as inspire others to get involved in RFL. What are some of the milestones of the team? Trader: Wow, milestones.. we have had so many. The Rockers are of course the ONLY team to participate in all 10 virtual Relays. This year we reached Purple for the first time. But we have had so many milestones and honors over the years. We have received 5 Mission or Cancer Education trophies. We have placed countless members on the committee’s, including Nuala, Dwen Dooley, Kala Gable, myself and many others. Nuala: The team developed Bid Me Bald in 2007 and while it is one of our mainstay events we gladly share it with all of Relay World. We created the CRFB TOP DJ Contest in 2011. 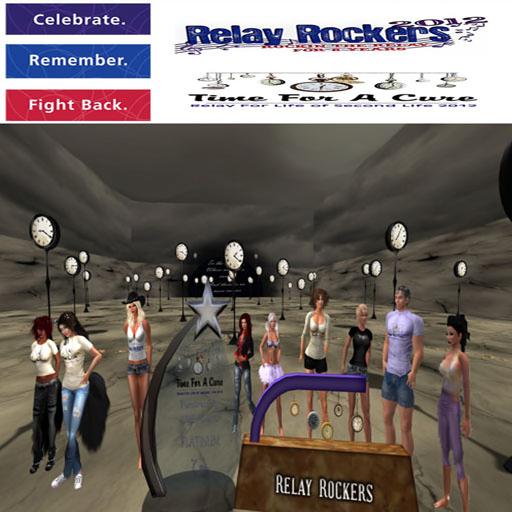 In 2008 Trader was the first person from Second Life attend the National Relay For Life Summit and in 2009 he addressed the Summit from Second Life. Nuala who served as Event Co-Chair in 2009 and 2010 also attended the Summit those years. This season was one in which we were humbled by honors bestowed to our team and ourselves. At Relay weekend the Rockers won the Inventive Creative Fundraising Campsite award and placed 2d for Cancer Education Awareness. As if that wasnt enough our fellow teams and Relay coaches selected the Rockers as the winner of the Returning Team Participation Award. Congratulations on your awards and accomplishment. What are the team plans for the future? Do you plan to return in 2015? Nuala: Sleep!!! Relaxation!!! The Rockers have always stood down once Relay season comes to an end. We give so much of ourselves and we ask so much of our teammates, we take off season seriously. We will do an MSABC Breast Cancer event such as Tunes For TaTas and take part in the Christmas Expo, but beyond some brainstorming of ideas for theme based events in the coming year we do not relay off season. SLE: Taking a break in between is very important so that you are able to come back next season, rejuvenated and ready to rock is a great way to keep you balanced. For other relay teams that are wishing to duplicate your success, what are some tips and tricks of relay for them? Nualla: Over 10 years of fundraising has taught us a few things. Of course meeting well in advance of Kick Off to set dates for our signature events, discuss what new events we might want to hold and review our notes from the events we held the previous year. We take notes on all our events we hold during the relay season. This is something we have found invaluable!! We have Google docs on the go for every event, even our campsite planning! We record what needs to be done for event organization and by whom, who responds to participate in the event, advertising, and of course fundraising totals for the event. We note what we can improve upon for next year as well as what worked great. Track your events from idea conception to when the last linden is donated. Although you think you will remember what happened, you won’t 5 months later. It will help you immensely when planning for the next year. Trader: When planning events... ask yourself... will the amount of fundraising dollars raised greatly outweigh the amount of time spent organizing, planning and running the event. If the answer is no, then you may want to rethink / reconsider holding that event. Quality over Quantity! Plan a handful of QUALITY events and not just fill up your fundraising season with a large quantity of events that raise little. Go outside of Relay to raise your money! Volunteers are just that.... volunteers who are also trying to raise money for the American Cancer Society. Just as in the Real World, you have to look outside of the teams and relay volunteers to raise your money. Reach for the higher fruit on the tree that has not been touched yet. Convio, Convio, Convio. In the 10 minutes it takes for a real life friend, family member, or co-worker, to fill out the Convio donation form, you could raise $50 US Dollars to your team via their credit card donation ($12,500 L in 10 minutes). 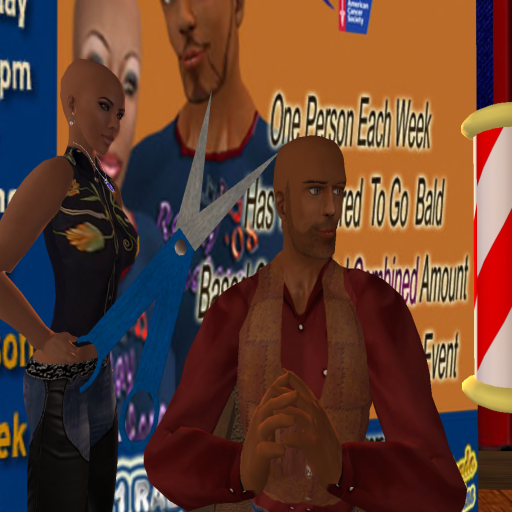 To reach that same $50 US through a SL fundraising event, when the average donation to a Relay For Life kiosk is $100 L, or $2.50 US, you need to have 125 avatars making a $100 L donation in 10 minutes or raise $1,250 L every minute for 10 minutes. We all know how difficult that task can be in Second Life. But imagine if 3 of your RL friends all donated $50 US each through convio......you just raised $150 US ($L39,000) for your team in minutes. SLE: Thank you for giving our readers a view inside Relay Rockers and all that you do. I wish Relay Rockers and everyone who has donated and given their time and effort to Relay for Life the very best. Everyone involved has made a difference and continues to. 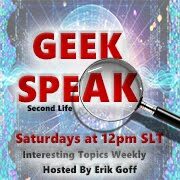 Now let’s talk about T1 Radio and its involvement in RFL for Second Life. 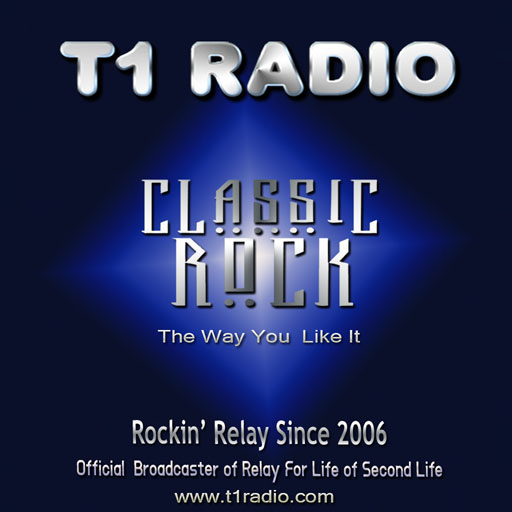 T1 Radio goes hand in hand with the Relay Rockers, at times some think your team is T1 Radio! Tell us about T1 Radio. Why and who started the station? What type of music does the station play? Nuala: T1Radio was formed by Trader in early 2005. As host manager he was given an opportunity to try his hand at broadcasting when Tony Beckett provided a stream and began Radio dAlliez. 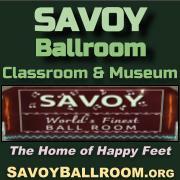 Later that year the decision was made to close La Vie En Rose as a nightly music venue. Trader approached Alliez and Tony with an idea of keeping the club open as the home of T1Radio. On June 20, 2005 T1Radio was born and has become one of the oldest continuously operated broadcast streams in Second Life. I joined Trader as co-owner of T1Radio in early 2006. Modeled after New York City’s legendary WNEW-FM, T1 streams Classic Rock The Way You Like it! 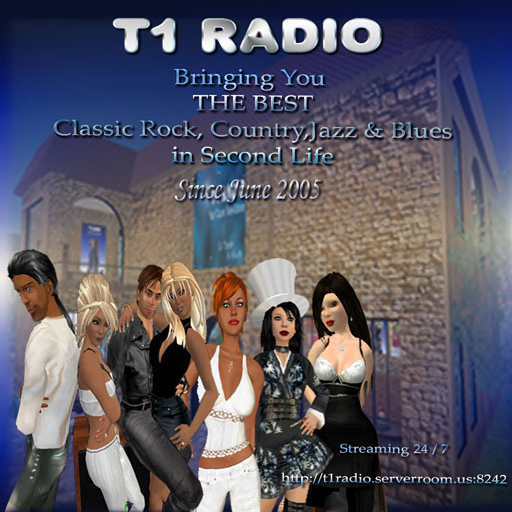 Featuring a mix of rock from the 60s to today, rockin country and blues, T1 provides its listeners with the best sounds in SL and RL! Trader: While many people consider us to be one and the same, T1Radio is separate from The Relay Rockers. While the Rockers grew from T1 and dAlliez they are separate entities. There are several members on the Relay Rockers team who have no affiliation with T1Radio, just as there are DJ’s on T1Radio who are not affiliated with the Relay Rockers team, but are actually on different Relay For Life teams. SLE: T1 Radio is the official broadcaster of Relay For Life of Second Life. When did the station become involved with Relay For Life of Second Life? Trader: During the 2006 Relay there was a 12 hour total grid crash, and when the sims came back up the DJ was no longer available. Fayandria Foley and Jade Lily approached us and asked if T1 would be able to help out. We went live and kept the stream up until about 9pm, long past the closing. It was the 1st of our traditional 'We Don't Want to Go Home Parties'. In 2007 we were asked again to broadcast to Relay. At that time I had learned how to connect Skype to our stream and for the first time the ceremonies were carried over streamed audio instead of typed. Nuala: We have continued to provide full audio broadcast services to Relay since that time. We bring the ceremony participants together and stream, not just to those at the venue, but, both in and out of Second Life. 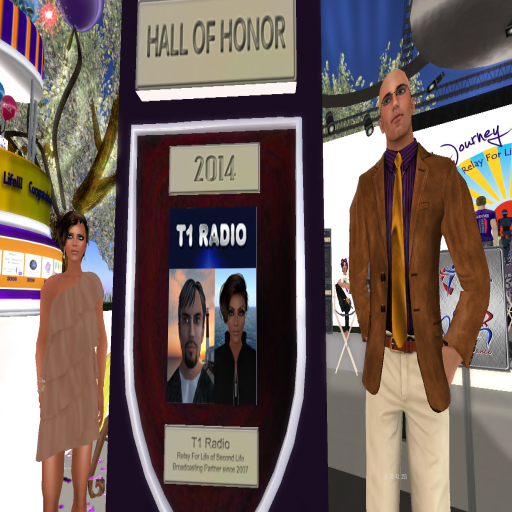 This past May, Trader Myself and T1Radio were inducted into the Relay For Life of Second Life Hall of Honor. SLE: Congratulations on being inducted in the RFL of SL Hall of Fame. That is certainly something to be proud of. The Relay Wrap program is a staple of the Relay season. Tell us about it. 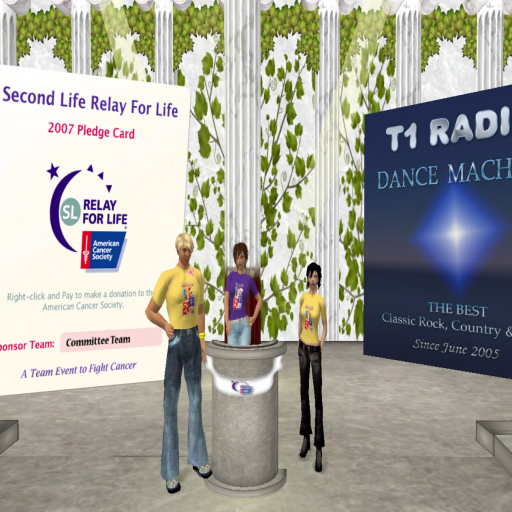 Relay Rap is a talk show for and about the Relay For Life of Second Life, the teams, the people, the events and the mission of the American Cancer Society. It began during the 2012 season and is broadcast live every Sunday during relay season. 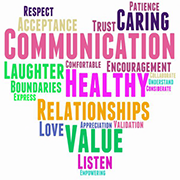 SLE: Cancer awareness and segments such as this is a great way to give SL community members to get support and hear about the latest research. How can one become a DJ for T1 Radio? Are you accepting new dj applications? Nuala: Yes we are always accepting dj applications. They can click on the DJ Application box located Arinultra Cay Sim. SLE: Where is T1 Radio based in Second Life? 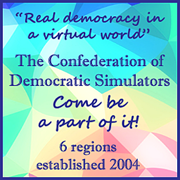 Are you in other virtual worlds? Nuala: T1Radio streams 24 /7 365 and is based in Arinultra Cay where we hold nightly events at LEGENDS Classic Rock, one of the oldest club in SL. 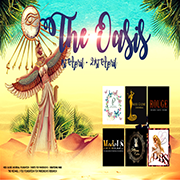 We are streamed on various sims, in clubs and stores, as well as in people's private homes in SL. A T1Radio home tuner is available at Arinlutra Cay by clicking the event board sign. The tuner can be rezzed on your land and the parcel stream will automatically change to T1Radio. 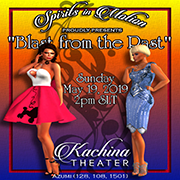 Listeners who wish to hear us outside of Second Life can find us on all their connected devices via Tune In Radio. 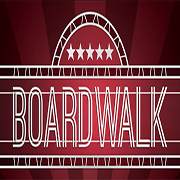 Surf to:http://tunein.com/radio/T1-Radio-s113797/ or download the app and search us. 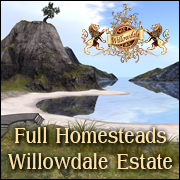 We do have listeners in other virtual worlds and online games. In-Worldz and Forge Of Empires, just to name a couple, they can also find T1Radio rocking them with Classic Rock THe Way You Like it!